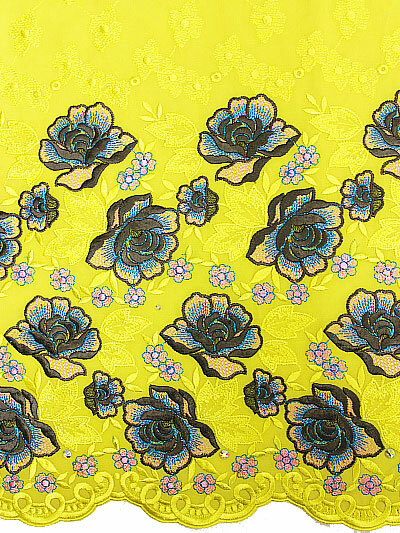 Lace is a popular choice of fabric for a multitude of West African fashions. Whether you choose guipure, Swiss voile, brocade or organza, it’s important to understand there’s an art to successfully cutting and sewing lace fabrics. Lace offers a wide range of colours, from pastels such as cream through to bright, bold shades, such as fuchsia and gold. It’s perfect for a diverse range of West African celebratory events, thanks to its luxurious feel and intricate patterns. 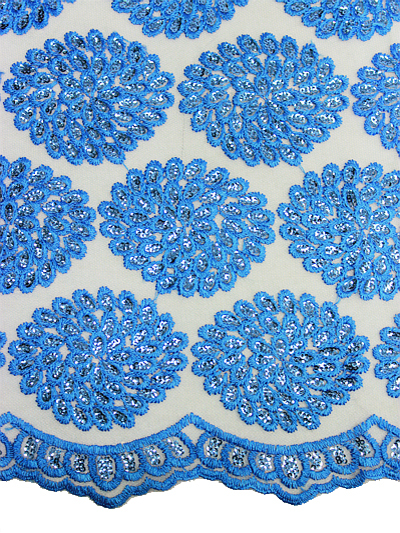 Understanding the techniques for working with lace will result in your creations having a professional finish. Lace adds a special touch that’s unlike any other fabric. However, it can be more challenging to work with lace, due to its delicate make-up. Using the correct techniques can enable you to create beautiful garments without spoiling the fabric. It can be difficult to choose from the wide variety of lace fabrics available. However, the general rule is that lace made from cotton blended with more than 10% polyester is less likely to yellow over time and will be more durable. Also remember that you can’t iron nylon lace, or it will melt. If you’ve chosen a type of lace fabric that can be ironed, always test a small corner first, using a warm iron, to make sure the heat doesn’t damage it. Always separate the lace from the iron by putting a pressing cloth on top of the lace and use only a low temperature setting. When you’ve cut the lace, it’s important to stitch along the edge to prevent it from fraying. Use a hem-stitch or picot with small running stitches, ensuring you roll the edge to the lace’s underside. When gathering lace, start with twice the length of fabric that you need. Whip stitch the straight edge, while pulling the thread upwards and gathering a few centimetres of lace. Then start whip stitching again. 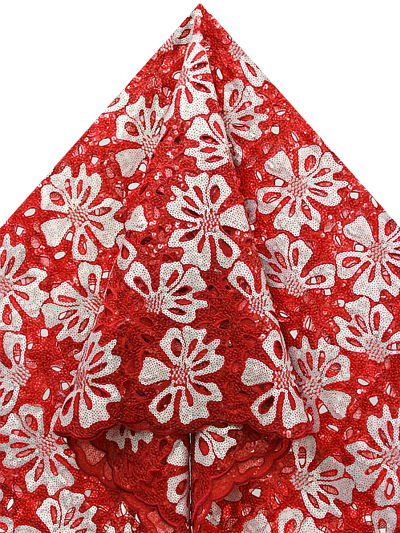 Lace fabric is usually patterned, so it can be tricky to join it. The technique is to leave more fabric than you think you actually need for the join. For example, if your lace is flowered, count one extra row of flowers and then cut round the lines of the pattern after the extra row. Then, place the pattern over its identical counterpart on the other piece of fabric that you’re sewing. Use a zigzag stitch to sew along the lines of the pattern. Once stitching has been completed, cut off any excess lace around the seam. Here at Empire Textiles, we have some stunning colours and designs, including exclusive voile laces, French organza, lace wax and brocade, to name but a few. If you follow these simple tips, you’ll soon have the knack for making the most of the beautiful range of lace fabrics for African fashion garments.